A cloud-based practice management software specifically designed for pediatric dentists, that eliminates frustrating work-arounds. What Dental Practice Management solution do you use? A free and open source software product which includes appointments, charting, document scanning, insurance billing, and Rx. With lightweight training demands and super easy to use interfaces you'll be in love with your new electronic health records software. Lighthouse 360 is the all-in-one automated patient communication software that seamlessly integrates with your practice management software to save time, fill the schedule, and keep your practice running smoothly. YAPI is a paperless solution for your dental practice, that gets rid of the processes of filing, scanning, and shredding paper documents by using tablets and iPads to manage your business. Guarantee standards of care for your patients and make data driven decisions using axiUm for your dental academic institution. Practice management software that includes appointment scheduling, billing and income control, xray images administartion capabilities. Dentist Marketing 360 is a powerful marketing platform built for dental practices. Fully managed integrated marketing solution. Total Dental Imaging is a module that works with a variety of dental imaging systems that allows you to bring your practice device support for sensors and imaging software. * We monitor all Sassy Dental reviews to prevent fraudulent reviews and keep review quality high. We do not post reviews by company employees or direct competitors. Validated reviews require the user to submit a screenshot of the product containing their user ID, in order to verify a user is an actual user of the product. Hi there! 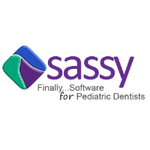 Are you looking to implement a solution like Sassy Dental?